Bid farewell to blemishes and get back the glowing, blemish-free skin you deserve. 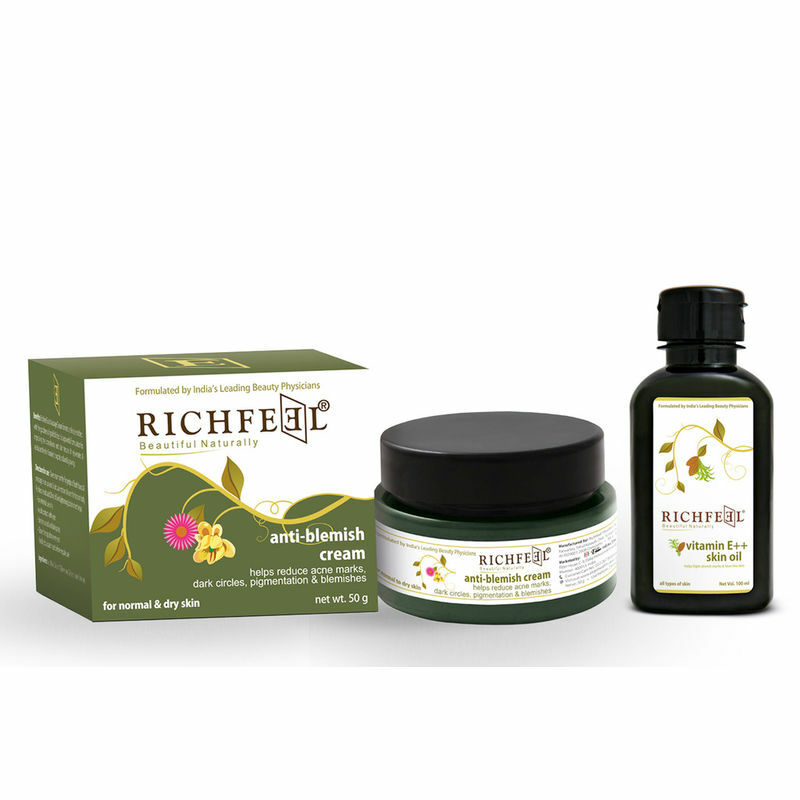 Richfeel Anti-Blemish Cream improves your skin and keeps it scar free. It wipes out acne marks. Reduces pigmentation & dark circles with ease. It gives you a radiant skin that look healthy. Richfeel Vitamin E++Skin Oil is a special formulation for stretch marks. It lightens the stretch marks & makes the skin smooth & supple. It?s a great skin nourisher enriched with the goodness of vitamin E & wheat germ. Richfeel Vitamin E++Skin Oil is a special formulation for stretch marks. It is a powerful formulation for improving the skin complextion.